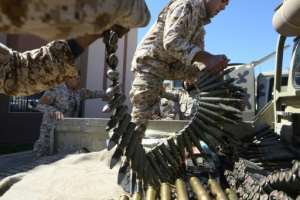 UN chief Antonio Guterres on Monday appealed for an immediate halt to fighting in Libya, after strongman Khalifa Haftar's forces claimed an airstrike on Tripoli's only functioning airport. Secretary-General Guterres "urges the immediate halt of all military operations in order to de-escalate the situation and prevent an all-out conflict," said a UN statement late Monday. "I make a very strong appeal to Libyan leaders and in particular to Haftar to stop all military activities... and to return to the negotiation table", the EU's foreign policy chief Federica Mogherini said after talks with EU foreign ministers. The GNA said French President Emmanuel Macron spoke with its leader Fayez al-Sarraj of his "total opposition to the offensive against the capital and the endangering of civilian lives". Ahmad al-Mesmari, a spokesman for Haftar's self-styled Libyan National Army, claimed Monday's air strike against Mitiga airport, east of the capital which targeted a MiG-23 military plane and a helicopter. "This attack constitutes a serious violation of international humanitarian law which prohibits attacks against civilian infrastructure," said the UN's envoy to Libya, Ghassan Salame. 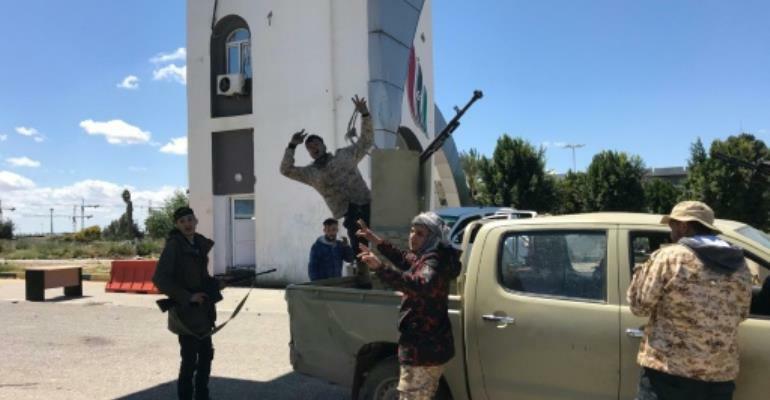 Having seized control of much of eastern Libya -- and buoyed by a series of victories in the desert south -- he turned his sights on Tripoli, vowing to "cleanse" it of "terrorists and mercenaries". Forces backing the GNA then announced a counteroffensive dubbed "Volcano of Anger". 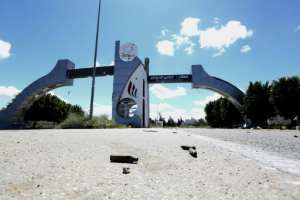 After a pause, fighting resumed Monday around the capital's destroyed main airport, some 30 kilometres (18 miles) south of Tripoli, and the rural area of Wadi Rabi further east. Instead the Kremlin on Monday urged "all sides to reject actions that could provoke bloodshed in battle and the deaths of civilians". The unity government's health ministry on Monday put the death toll at 35. Haftar's forces have said 14 of their fighters have died. "Clashes with heavy weapons are affecting residential areas, and an unknown number of civilians are unable to flee these locations," UN spokesman Stephane Dujarric told reporters in New York on Monday. "We have no positive news to report on our call for a humanitarian truce." 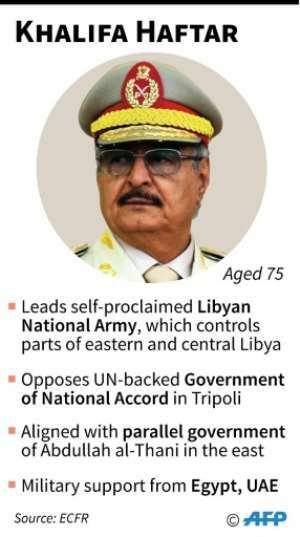 Haftar launched his offensive just days ahead of a planned UN conference aimed at uniting Libya's rivals and paving the way for elections. The UN mission in Libya said on Twitter that Salame met Monday with Sarraj in Tripoli to discuss how to "assist at this critical and difficult juncture".